Dynamic symmetry is a common phenomenon in mechanical product structures, and is used for describing the regular motion process over time in mechanical systems. It plays an important role in implementing product functions, transfering and transforming movement motion, increasing the strength of product functions, expanding the scope of the functions. 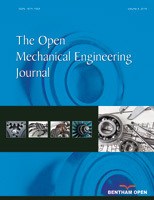 For the case that the lack of research about dynamic symmetry and imperfection of symmetric system, based on the analysis of instances, a new concept system of mechanical dynamic structure symmetry was established by taking the different properties of the geometric character and the time character of the motion process as standards. The concept system is made up of rotation dynamic symmetry, translation dynamic symmetry, scaling dynamic symmetry, combinatorial dynamic symmetry, time-translation dynamic symmetry and time-inversion dynamic symmetry. Among the concept systemthe author has a symmetry theory analysis of many instances to verify the validity and rationality of the established symmetry concept system. Finally, the functions of dynamic symmetry in realizing the function of transferring or transforming motion, matching the space-time characters and improving the performance of mechanical product functions was proposed. The concept system can completely describes the existences of dynamic structure symmetries in mechanical systems, and can offer an academic basis for further research on the functions and application laws of dynamic structure symmetry in mechanical systems.